The 16' Saturn Cataraft is new to our product line and was developed for all types of rafting and fishing situations. It is a perfect combination of technical performance, stability and an unbelievable value. 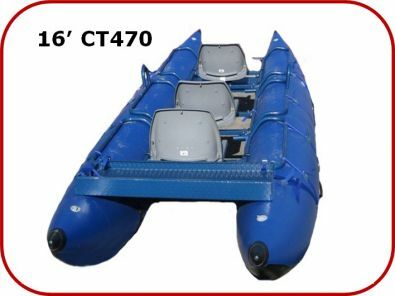 It was designed to carry extra large loads on extended trips and provide a separate seating position for up to 4 adults. Also a fantastic fishing machine that when packaged with a fishing frame can comfortably seat two anglers in either low-back or swivel seats. 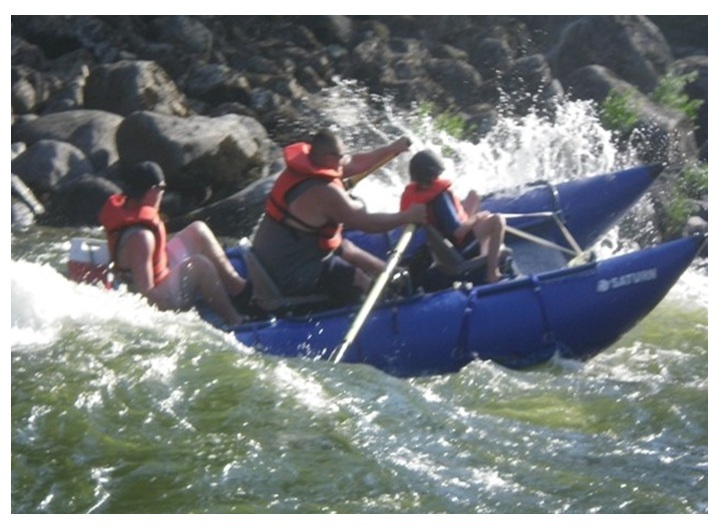 The 24" tubes put you high up on the water and provides a huge clearance to the waterline. It is incredibly stable and drafts extremely shallow for low water with lot's of rocks. 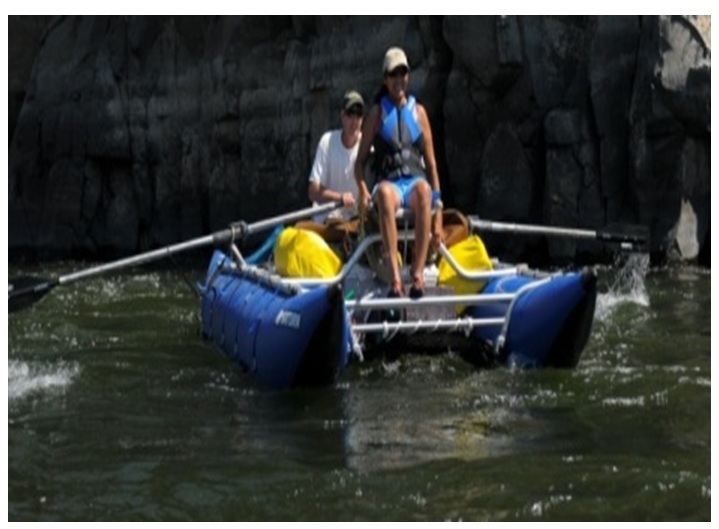 With a load capacity of over 1800 lbs, this cat is a perfect gear boat for your camp. It is a great gear boat for a short overnighter. This model was custom designed to meet the needs of our outfitters and customers looking for maximum stability and storage capacity. 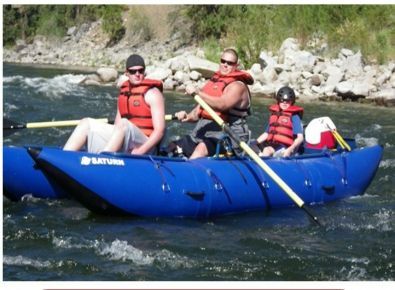 The 16' Saturn Whitewater Cataraft is longer, typically sets up wider, and has larger tubes than our 14' cataraft and yet is still a very manageable size for shooting tight rivers in low water. 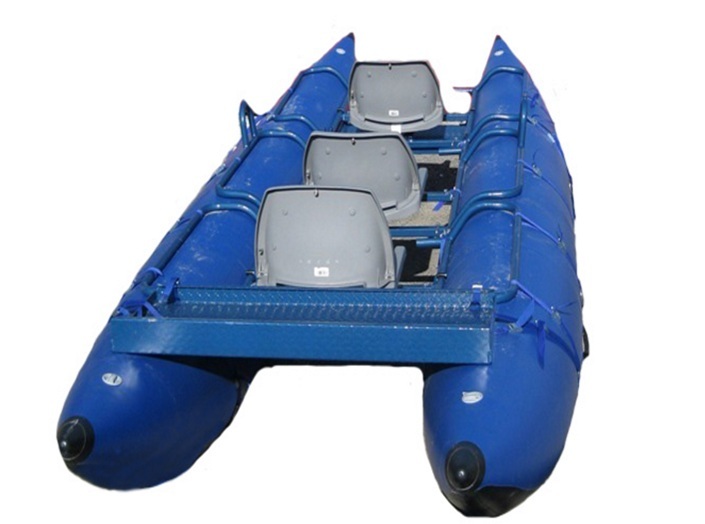 The increased capacity for storage and passengers is soon to make it a favorite among our outfitters and guides and was designed to take heavy commercial use abuse. The Saturn Cataraft Tubes come standard with extra chafe protection on the top tubes along with an additional second layer covering the bottom surface area of each tube. The 0.9mm PVC tubes and additional protection layers make it one of the toughest on the market today. Each tube has 2 chambers for added protection, well placed exterior valves for easy inflation, 10 preinstalled D-rings for easy connection of any frame, and comes standard with our upgraded soft rubberized handles. The end cones are custom designed to perfectly match each tube.